The Friday Medal honors significant, distinguished and enduring contributions to education and beyond through advocating innovation, advancing education and imparting inspiration. 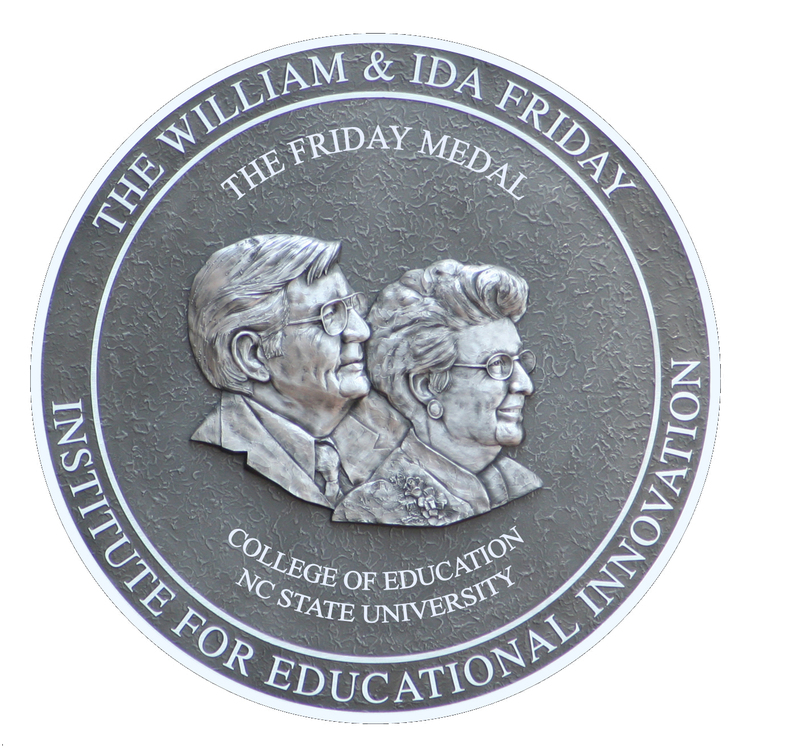 In recognition of the commitment of Bill and Ida Friday to educational excellence, the College of Education’s William & Ida Friday Institute for Educational Innovation created The Friday Medal. This award is given annually to those who embody the mission and spirit of the Friday Institute.